Local authorities have been considering closing the island for the past couple of years due to the unchecked increase in visitors, which has started to impact the local habitat. 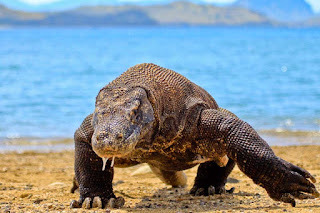 Smugglers who allegedly stole 41 Komodo dragons were recently arrested. There are about 5,700 dragons living in the wild, UNESCO says, all of them within the National Park. The region welcomes about 150,000 visitors every year.